People call him an entrepreneur, some call him a businessman, but Brandon Steven loves the word president. 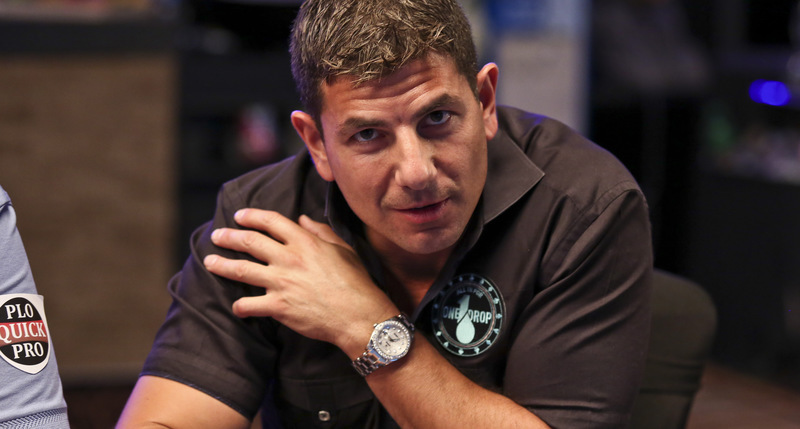 This capitol investor and a poker champion has made success in almost all of his business ventures and played the role of a president with sheer perfection. Living, with his wife and six children in Wichita, Mr. Steven currently owns several award-winning car dealerships in this area. He is also a big fan of sports and has been a sports champion during his school and college. This love for sports has made him the co-owner of three hockey teams and 22 franchises of Genesis Health Club throughout the Kansas and Missouri, which is a joint venture with his brother Rodney. Started with a small business of snow shoveling driveways, this guy became the president of some of the biggest ventures of Wichita, Kansas. In 1995, he started this company with his brother and father. The business soon attained a strong name in the market of Wichita. Mr. Steven still works as a vice president of this company. Started in 1995, Brandon Steven Motors today owns the car dealing market of Wichita with Brandon as its president. There are many divisions of this company like Eddy's Chevrolet Cadillac, Eddy's Toyota of Wichita, Eddy's Chrysler Dodge Jeep Ram, Eddy's Ford of Augusta, Eddy's Volvo, Eddy's Body Shop. In 2004, he bought his first new car dealership and became the president of Subaru of Wichita. It was a retailer showroom, selling new and used Subaru cars in the local area. Brandon works as a president of this company too and provides top trained technicians and sales staff. People utilize their facilities of online and offline car dealings. In 2009, Brandon made his biggest and boldest move by investing money in purchasing a minority share of Eddy's Toyota. He was clear about the brand and its future. He knew that the investing made at that time would bring a lot of wealth in the future. Only two years later he bought a majority of the shares of this company and started building a new facility of the dealership. It took one whole year and a magnificent two-story building was in front of the eyes of the locals. He took just 4 more years to buy all the remaining shares of Eddy’s Toyota and becoming the true owner and president of the company. It was his great leadership that Eddy’s Toyota got almost all the possible manufacturer award in 2013 and 2014. This is how he became the best Toyota dealer in the region. In the year of 2010, Brandon Steven purchased Eddy’s Ford of Augusta with the aim of providing low priced vehicles to the locals throughout the Kansas area. This company works as a division of Brandon Steven Motors like his other ventures, and he holds his firm position as the president of the company. He has also been the co-founder of Genesis Health Club and the Steven Brothers Sports Management Company.